Kiku had been spending a lot of time going through the traditional seasonal calendar given to him by Boss Panda when he first arrived at the Bamboo Bathhouse. 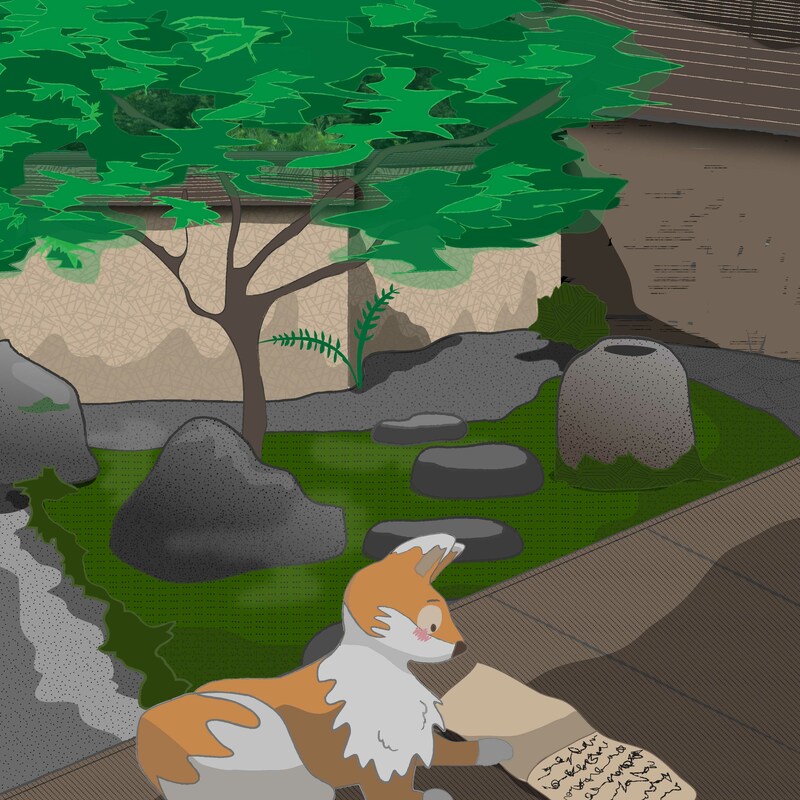 He had been sitting in the little garden behind the bathhouse and trying to work out the book’s contents. Boss Panda had explained that to understand more about Japan, it was important to understand the small seasonal changes taking place throughout the year and how they were noted or celebrated. He had given Kiku a tattered old copy of the almanac, saying that the original versions had come from China, recording Chinese seasonal events and so had been altered over the years to fit in more appropriately with the seasonal changes in central Honshu, the main island of Japan, where Tokyo is located. The almanac was closely linked to agriculture and based on a system that divided the solar year into 24 segments called ‘sekki’. Each sekki was also divided into three five-day segments called ‘ko’ (climates). Kiku found that he had to use not only Japanese dictionaries but Chinese ones to understand some of the seasonal marker descriptions, as they were sometimes written in very old characters. He had decided to try and form his own take on the calendar, using the changes noted by the markers and trying to connect them with today’s Japan. 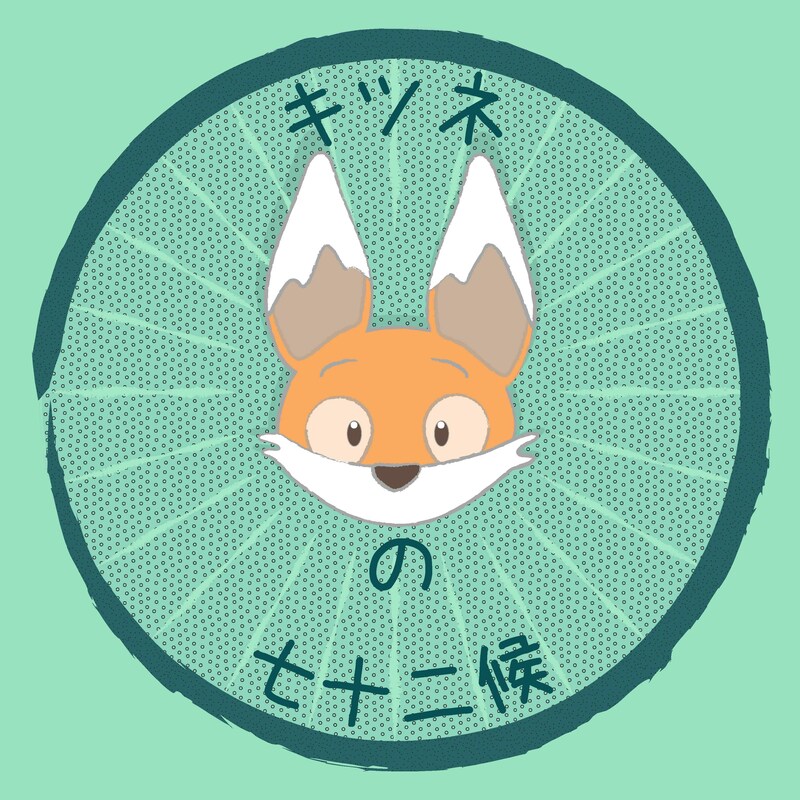 He planned to call his version the Fox Almanac, known in Japanese as キツネの七十二候 (kitsune no shichijunikou), which literally meant the ’72 climates of the fox’. As the year began to reach the halfway point, Kiku noted that the sekki for the beginning of June was described as ‘Boshu’ (芒種) or ‘grain in ear’. The middle of the three ko for this sekki which began on the 11th June read “Rotting Grass Becomes Fireflies” (腐草為蛍). Kiku took the almanac to Boss Panda. “How can rotting grass change into insects?” he asked. Boss Panda smiled. “Well, it is more a description which combines several important events. The 11th of June or thereabouts is also ‘tsuyuiri’ (雑節), the beginning of the rainy season, when certain grasses and plants have finished flowering and begin to rot back down into the earth. Fireflies live near fresh water, and appear at the edges of streams and rivers at about the same time – coming up from the vegetation beneath, and so it may look as though the fading leaves turn into shining insects. One simple, poetic phrase manages to encompass several important seasonal changes. Later on, Kiku and Miko had a look through a Tokyo guidebook and found that special firefly viewing events were held around Japan. 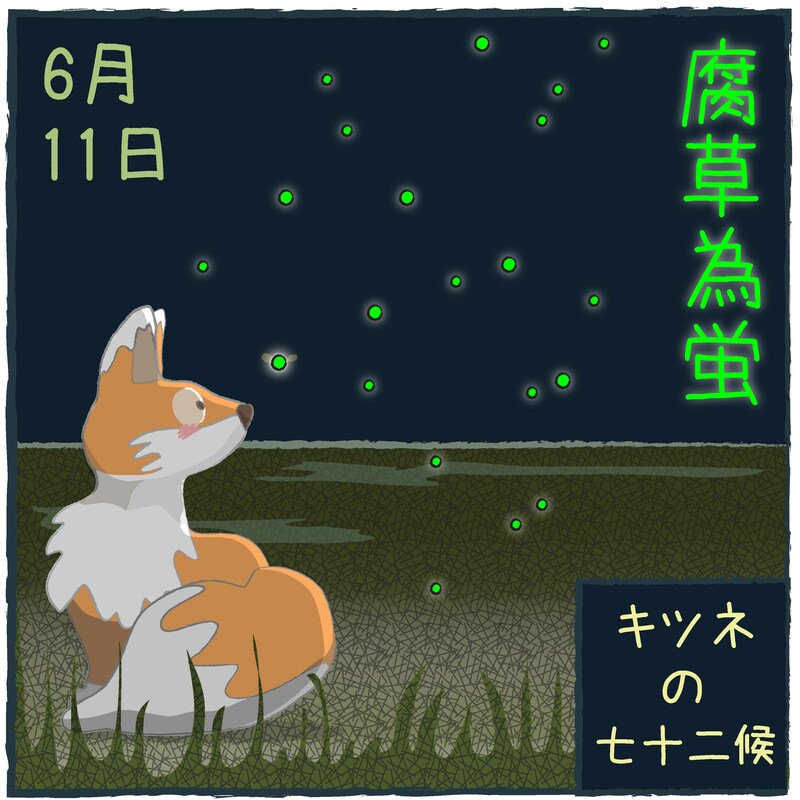 They found an event called ‘Evening lit by Fireflies’ (Hotaru no Yube) held from the middle to the end of June, where visitors could see fireflies along the Kitaasa river at Yuyake Koyake Fureai no Sato, a ‘village park’ in the mountain region outside Tokyo. Kiku decided he was suddenly very tired…. Take the Keio Line or JR Chuo Line from Shinjuku to Takao Station (approx. 40 mins), and from the North Exit of the station, take the Nishi Tokyo Bus bound for Jimba Kogen-shita to Yuyake Koyake (approx 30 mins). The Yuyake Koyake village also has other events throughout the year, many connected to nature, such as hydrangea viewing, rice planting and plant dyeing and there are pottery events using the anagama climbing kiln on site. There is also a small lodging house on site.